National player Shoosmiths has launched a training contract scheme in London. This is the first time the 11-office-outfit, which has city centre sites in Manchester, Birmingham and Leeds, is expanding its trainee solicitor programme into the City of London. 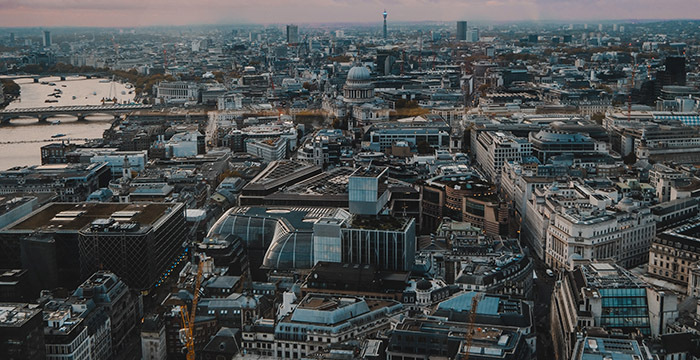 The corporate outfit confirmed it has already recruited its first trainee who will join its swish sixth-floor St Paul’s base in September 2019 and will likely recruit two trainees to join in September 2020 and another two the following year. The London lot will start lawyer life on a first-year salary of £38,000, rising to £39,000 in year two, Legal Cheek can reveal. Shoosmiths has also confirmed it will be upping overall trainee places by 36%. The UK-headquartered firm previously recruited 22 rookies each year, but this will increase to an intake of 30 from September 2019. The firm is recruiting around 30 additional spots from this year’s application round to fill the extra vacancies for the next three years. The rise follows news that the number of TCs across the major 70 UK-based corporate law firms has risen by 0.5% — from 2,024 to 2,035 during the 2018/19 graduate recruitment window. The firm has also split its annual trainee intake into two. The programme will include a March intake as well as its usual September intake commencing from March 2020. The firm’s London office, however, will just have the one intake from September until the firm reviews the growth and success of the office. Shoosmiths has also posted a perfect 100% retention score for its first-ever spring recruitment round. All nine of its March-qualifying associates-to-be were offered and accepted permanent deals. Seven newly qualified (NQ) lawyers are corporate-bound, while one will join the real estate team and the other will qualify into business advisory. Is Shoosmiths a top firm? Currently in my final seat at CMS and considering a move. You’re allowed seats at CMS? Well, sort of. When the battery farm is performing particularly well my line manager gives us a stool as a special treat. That said, the upcoming roll-out of bunk bed style double-stacked desks gives me some cause for concern – hopefully i’ll get bottom bunk. Lazy bum, get to work and appreciate what you’re getting. Let’s hear it, why you wanna move? I heard very good things about the work environment at this firm. Could anyone shed some light on this and also on what are their strongest practice areas? I would have to agree. Work is shipped off to regional workhouses. Internal NQ rate just below 60 for London. Probably more for external hires. Bloody hell, it would have to be to get anyone to lateral! Not according to their website?? They are very strong in Real Estate, but there is an article about big corporate growth in The Lawyer today. Someone has a chip on his shoulder. They seem to pay their NQs £65,000 in London, which is totally decent whack for a firm of their size, on par with other mid-sized shops. Probably not all that bad a deal considering work-life balance etc. Isn’t this the bronze medallion firm that once went with a marketing slogan “Try walking in my Shoos” and “VIS: Very Important Shoos”? Kirkland Ellis & Shoosmiths. I can see it now.